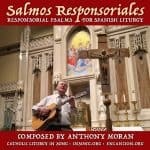 Domingo de Ramos C - Salmo 21 - Dios mío, ¿por qué me has abandonado? Audio demo (.mp3) and sheet music (.pdf) are available. Practice along with the “scrolling guitar lead sheet” in the YouTube video below. Lyrics and guitar chords are in the Description tab below. Do you have a need for liturgical music, inspirational songs or faith formation teaching aids to fulfill a specific need in your community? We may be able to help! Use the contact form to describe what you are looking for. You can commission us to compose music for you. Our fees are fair and negotiable. We can write lyrics, compose melodies, add instrumentation, record audio demos/mockups, and prepare music scores (a.k.a. engraving or notation). 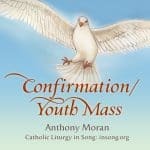 Thank you for your interest in our liturgical, devotional and faith-inspired songs. 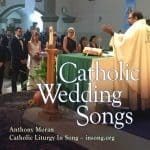 Please tell your family and friends about the songs and services here at Catholic Liturgy in Song. By doing so, you help to keep alive the Word of God and the power of the Spirit.